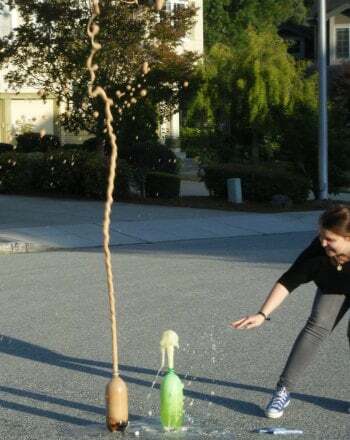 Students will discover whether tapping the top or the side of the can will stop a vigorously-shaken can of soda from exploding into a sticky mess and the logic behind it. What happens when you vigorously shake a can of soda and then open it? Why does this happen? 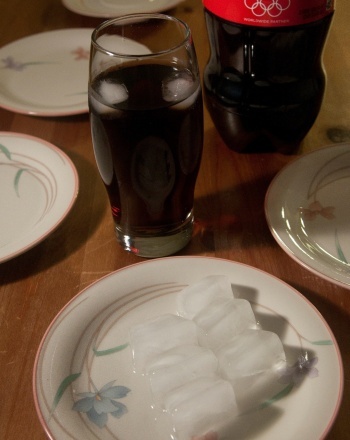 How much shaking would you have to do to a can of soda to get it to explode? 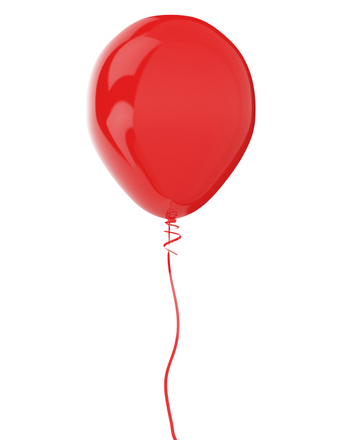 Carbonated water is water in which the carbon dioxide gas (CO2 ) has been dissolved. This process is called carbonation. 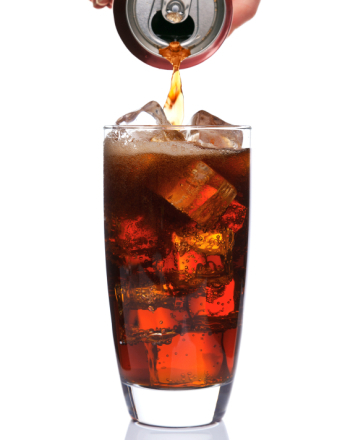 CO2 is present in the air we breath and is the component that gives soda its signature gassy fizz and crackling noise when you open it. This happens because gas molecules are rapidly trying to escape the airtight can (lots of concentrated pressure) when you let air inside. 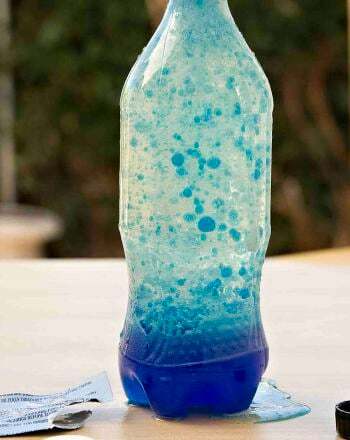 When you open the can of soda, you lower the pressure and this is manifested in the form of bubbles and fizz. A few cans of unopened, regular, non-diet soda preferably clear-colored (like 7-up or club soda)...so when it explodes, it does not stain anything. 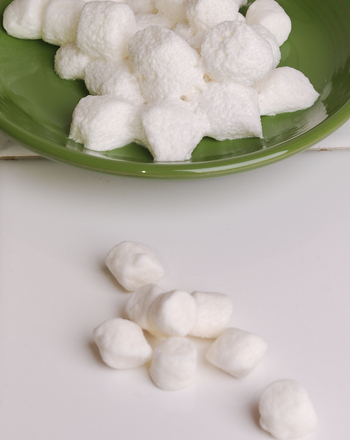 Vigorously shake a can of soda for about 1 minute and open it. What happens? Jot this down in the chart provided. 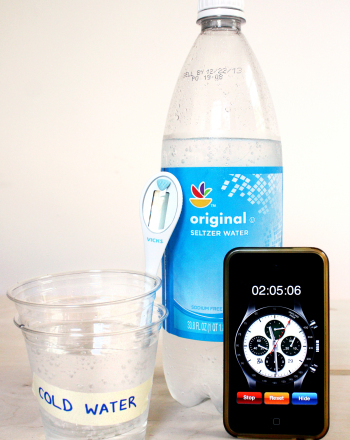 Now vigorously shake a can of soda for about 1 minute, but this time, tap the top of the can a few times with your finger. Now open it. What happens? 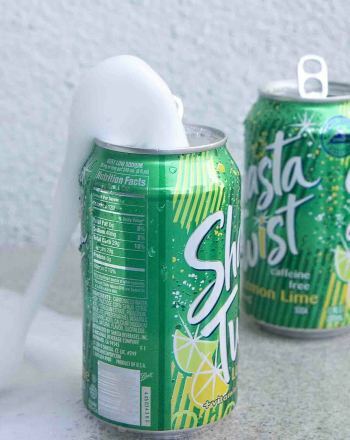 Finally, vigorously shake another can of soda for about 1 minute, but instead of tapping the top of the can, do a “snapping motion” at the sides of the can. Do this a few times. Now open the can. What happens? Record your results. Based on your research, why do you think you got these results? Carbonated Soft Drinks: Formulation and Manufacture (2006) by Dr. David Steen & Dr. Philip R. Ashurst. Wiley-Blackwell Publishing. 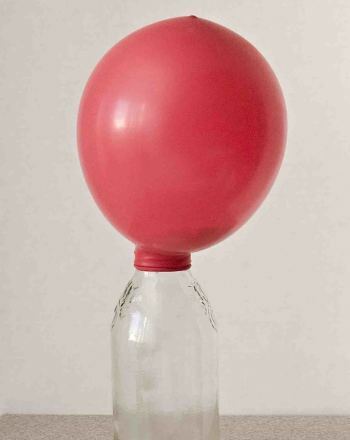 How powerful is the reaction between baking soda and vinegar? Find out here! 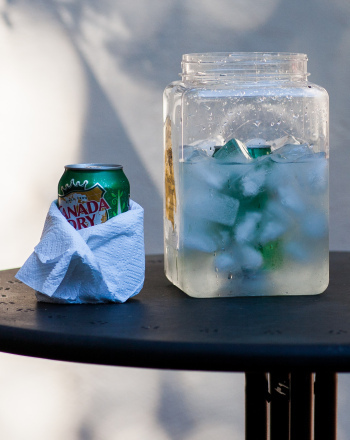 Check out this fun science fair project idea to determine the effect of temperature on carbonation in soda. 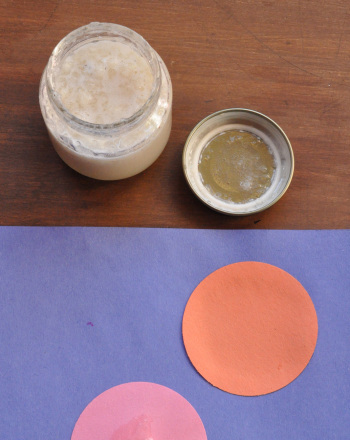 Science fair project which teaches you how to make your own homemade glue by combing curdled milk with baking soda. 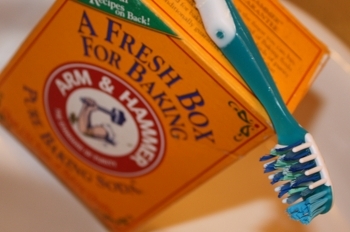 Make environmentally friendly, chemical-free toothpaste using one of the most common, inexpensive pantry staples in the American kitchen: baking soda. Show your child how and why the microwave works, while demonstrating just how strangely foods can behave while inside the crazy cooker.